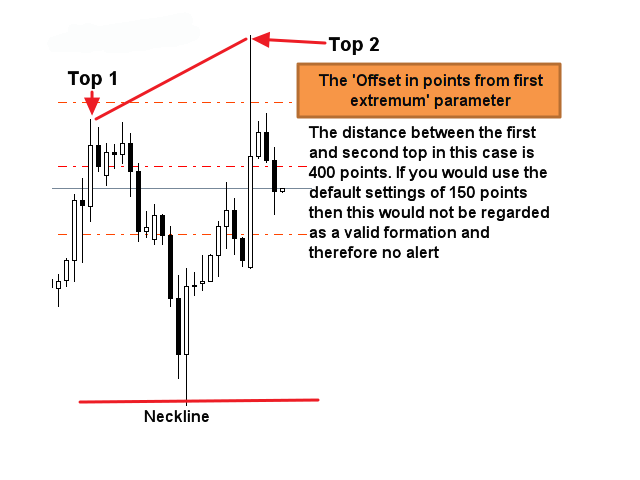 This multi time frame and multi symbol Expert Advisor (EA) identifies double or triple top/bottom formations and trades on a following neckline breakout (confirmed top/bottom). It has RSI and moving average filter options which makes it possible to filter out only the strongest setups. Due to the numerous amount of settings the Expert Advisor is mainly aimed for the intermediate to advanced trader who already has a deeper experience with or understanding in double top/bottom trading. Please note that I do not provide with any trading advices, signals or preset files. Please also check out my Double top/bottom scanner. 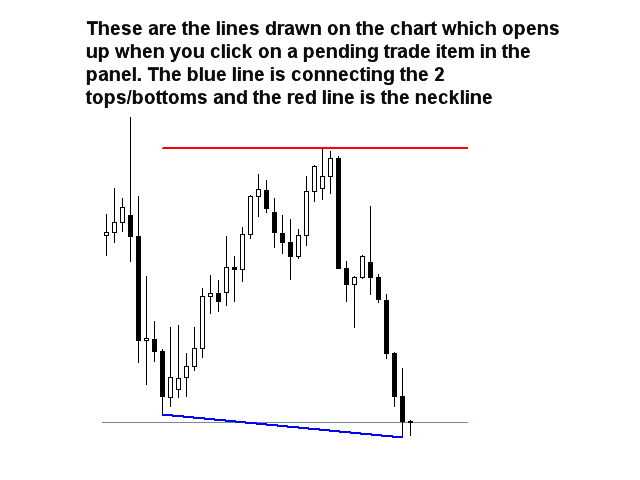 Can trade several symbols and time frames at the same time. 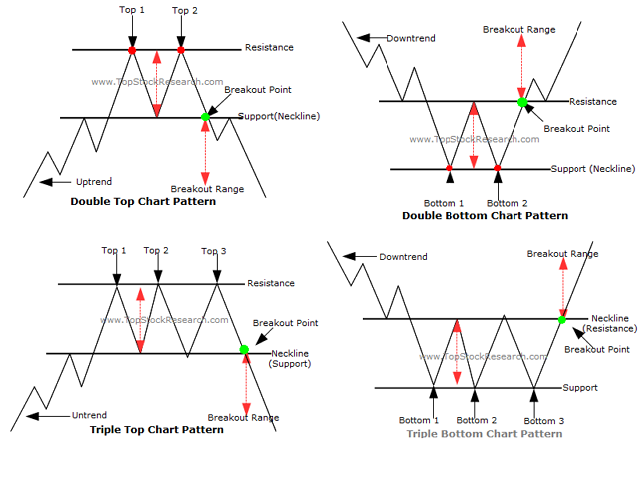 Apply the EA to just one chart and it will trade any symbol and any time frame of your choice. Can use RSI and/or Moving average as trend filter to properly identify potential reversals. Pending signals (trades) are visible in a panel on the chart where the EA is loaded. When you click on an item in the panel you can select to open a new chart where the top/bottom and neckline will be drawn for better visualization. 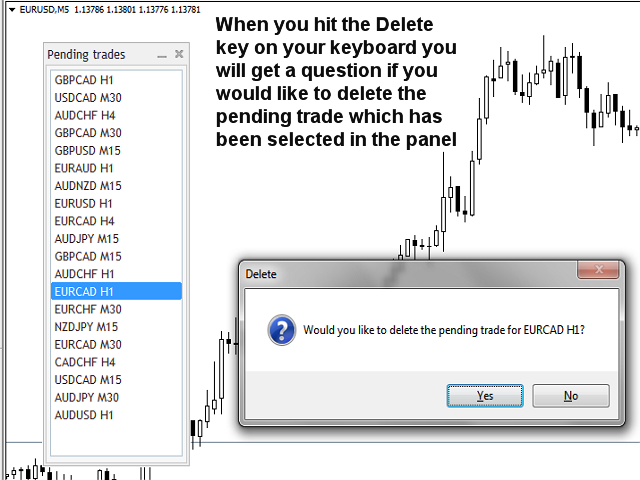 From the panel it is also possible to delete a pending trade in case the setup does match your rules or in any other way doesn't look like a potential winner. Please see the screenshots. Please make sure that you test the EA on a demo account and let at least 10 trades be done before going live. You could use the M1 or M5 time frame for this purpose. It is advisable to always perform proper back testing of your setup in the Metatrader Strategy tester.